Did you ever fall in love with a food photo? I spotted this recipe on Facebook and fell in love with this Orange Sunshine Cake from Mary at The Egg Farm! Aren’t her photos gorgeous and mouth-watering? I’m so grateful that Mary graciously agreed to share this recipe with us! Thank you so much, Mary! Cakes like this freeze nicely, so I’m thrilled to add this recipe to my freezable dessert collection! I can think of A LOT of family and friends that are going to love this cake! Enjoy Mary’s Guest Post!Cara Cara navel oranges look like other navels on the exterior, but their interior is a distinctive pinkish red, they have an exceptionally sweet flavor, and they’re seedless. In my opinion they are the best oranges for peel and eating plain that you will ever find. They are exceptional for use in sweet and savory recipes as well. 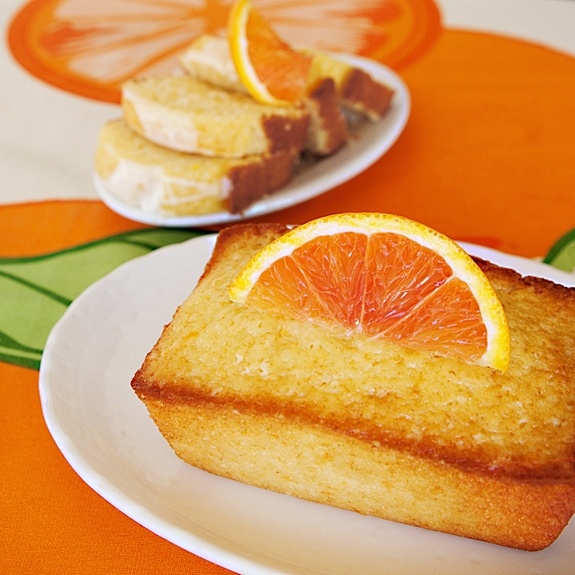 I adapted a lemon loaf recipe to create my Sunshine Orange Cake. I baked mine in mini loaf pans but a regular loaf pan or a bundt pan would work well too. It is good glazed or plain. The orange zest and juice along with the lemon juice in this recipe make it perfectly tangy and not too sweet. 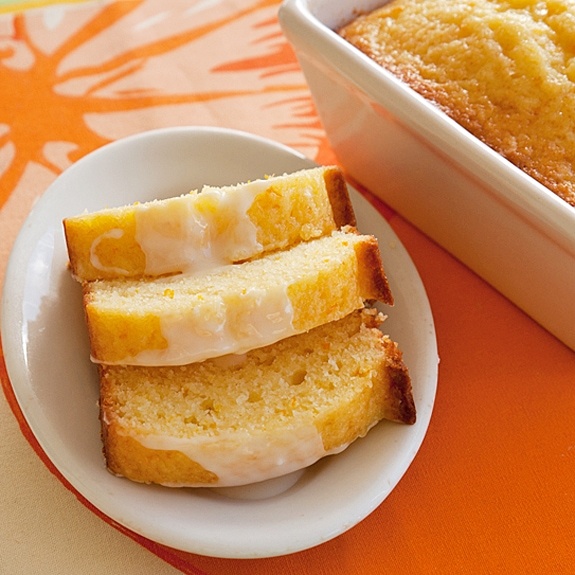 You can’t help but think “sunshine” when you eat this cake. Preheat oven to 350 degrees. Grease or spray a loaf pan, or 3 mini loaf pans, or a bundt pan. Pour the heavy cream into a small bowl and add the juice of one lemon. Stir ti mix then set aside for a few minutes until the cream curdles. You are essentially making buttermilk, except it is tastier than real buttermilk! In a medium bowl, rub the orange and lemon zest into the sugar using your fingertips, until the zest and sugar is well blended. Whisk in the flour, baking powder and salt. Set aside. In another medium bowl, whisk together the orange juice, eggs, curdled cream, oil and yogurt. Pour the wet mixture into the flour mixture; stir until just combined. Pour the batter into the prepared pan(s). Bake until the cake is golden brown and a toothpick inserted into the center of the cake comes out clean. Baking time will vary according to what pan you use. Cool completely in the pan on a wire rack. For the glaze: Sift the powdered sugar into a medium bowl. Add the orange juice and zest. Mix together. Slowly add the milk stirring until it reaches the stage it can be poured over the cake. 0 Response to "Orange Sunshine Cake"